These rich and fudgy Rolo caramel brownies are so indulgent and delicious! 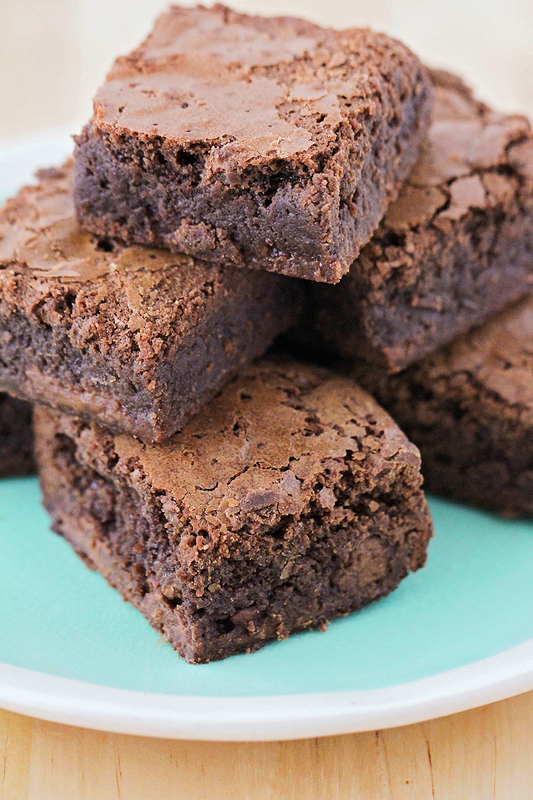 Every time I sit down to write about some brownies that I've made, I get stuck staring at the picture and sighing. (And often sneaking upstairs to the kitchen to eat another brownie.) A good brownie is a thing of beauty! 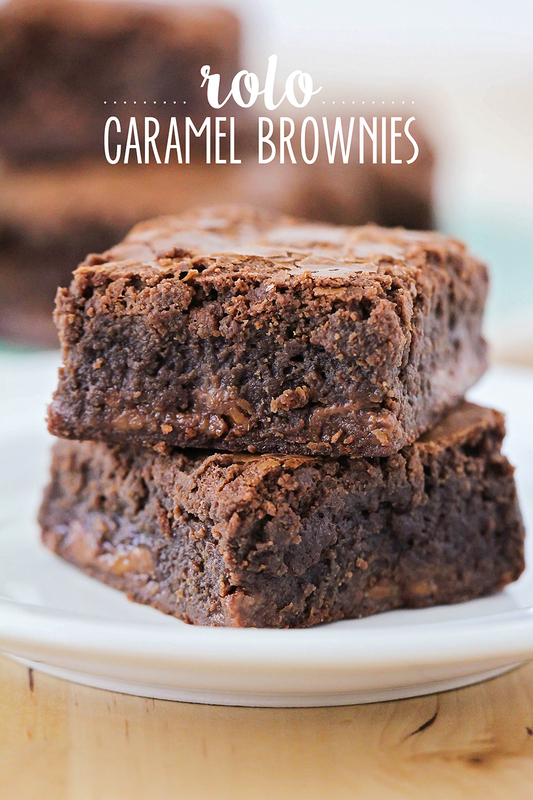 These Rolo caramel brownies are so fantastic, and perfect for satisfying that sweet tooth. They're over-the-top rich and indulgent, and so gooey and chocolatey! The Rolo candies melt into little chocolate-caramel puddles, and make the brownies extra delicious. They are so rich that just a small square is enough, but they are so good that you'll be wanting more! I made these for a barbecue a few weeks ago with my husband's friends from work, and they were universally popular. If you love chocolate and caramel like I do, these are a must-try! Preheat the oven to 350. Line a 9 x 13 baking dish with parchment and set aside. In a medium saucepan, melt the butter over medium low heat. Add the chocolate and stir until melted, then remove from heat. Stir in the sugar and vanilla. Stir in the eggs, one at a time. Add the cocoa powder, salt, and flour, and stir until just combined. Pour half of the batter into the prepared baking dish. Place the Rolos on top of the batter, distributing evenly. Pour the remaining batter over the top. Bake 40-45 minutes, or until the brownies are no longer jiggly, and a toothpick inserted two inches from the side of the pan comes out clean or with just a few moist crumbs. Cool before cutting and serving. I also stared at that picture and said I got to make some of that.